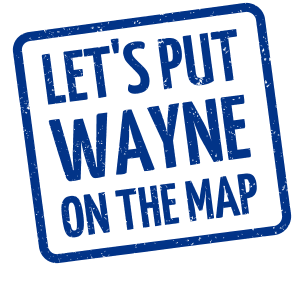 February 9, 2015, WAYNE, MI– Wayne Main Street is helping Wayne small businesses build their presence online at a Let’s Put Wayne on the Map workshop. Wayne Main Street is hosting the workshop, which will feature a lesson about Getting Found on Google Search and Maps. Let’s Put Our Cities on the Map is a program designed to empower every community to support local businesses, and encourage them to get on the map. Local businesses keep our communities strong. When we help them succeed on the web, they make our communities even stronger. The training on March 24, 2015 will take place at the Wayne Fire Station (3300 S. Wayne Rd.) and is a Google lesson hosted by Wayne Main Street. Training begins at 6:00 PM and will be followed by interactive assistance and question and answer session. Learn more about the program and get involved at www.gybo.com/MI/Wayne or call (734) 629-6822. Wayne Main Street, a Michigan Main Street program, is a nonprofit 501©(3) organization. We are a positive force working with our community, business and property owners to preserve, enhance, and promote our historic downtown as a vibrant destination for residents and visitors to gather, shop, work, and play/enjoy. Get Your Business Online is a fast, easy, and free way for small businesses to get online. their customers are searching. Get Your Business Online provides small businesses with a free website as well as free tools, training, and resources to help their business succeed online.